It has definitely been awhile since I churned out a blog post. I really only write when I stumble across a subject that is motivating enough, and boy did I find one this weekend. So here is a bit of background. What has been happening more and more frequently is that marketing companies seem to think a great way to sell a food product is to make consumers afraid of the competition. Advertising media is produced containing information that sometimes is simply misleading and sometimes, blatant lies. This is called fear marketing and it has been on the rise in recent years. 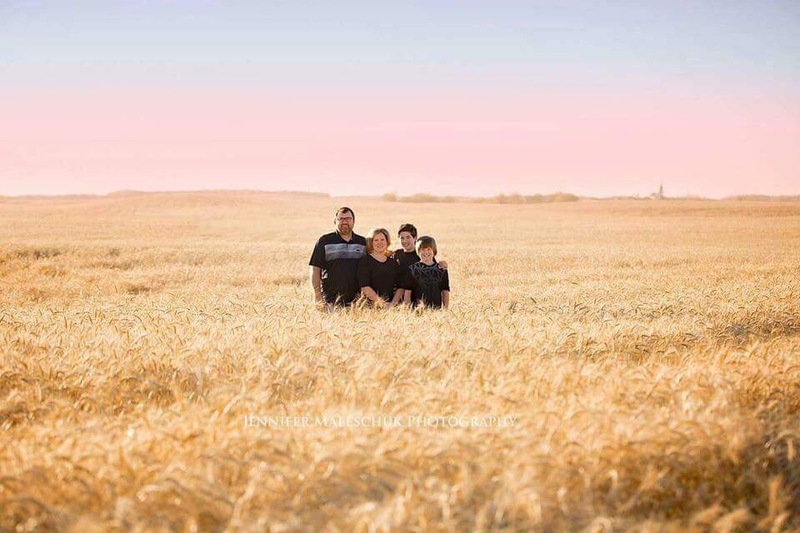 It is day 16 of Agriculture Month in Saskatchewan, and today’s post is from a FarmHer friend of mine, Julie-Anne Howe. 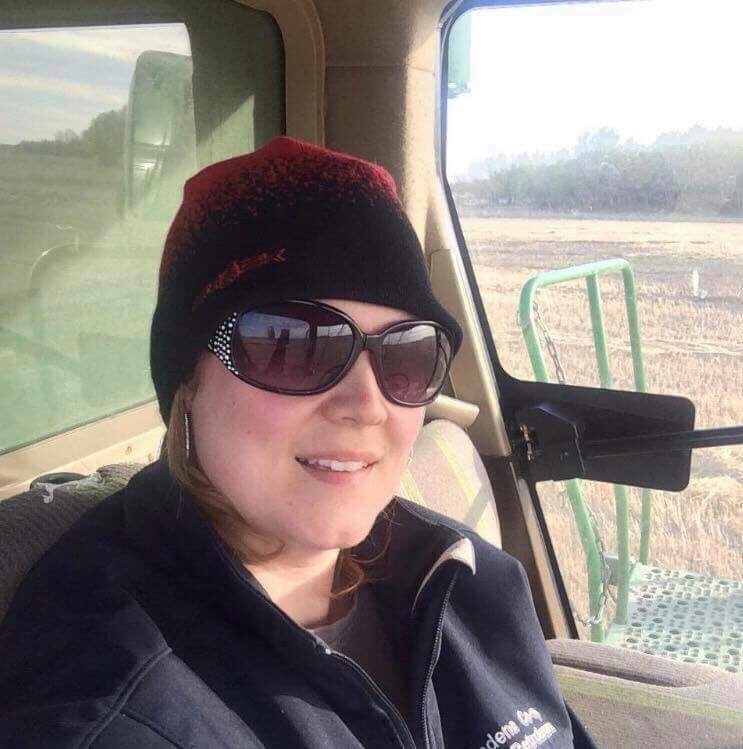 She is a dairy gal turned cattlewoman, grain farmer and a growing bee farmer to boot. 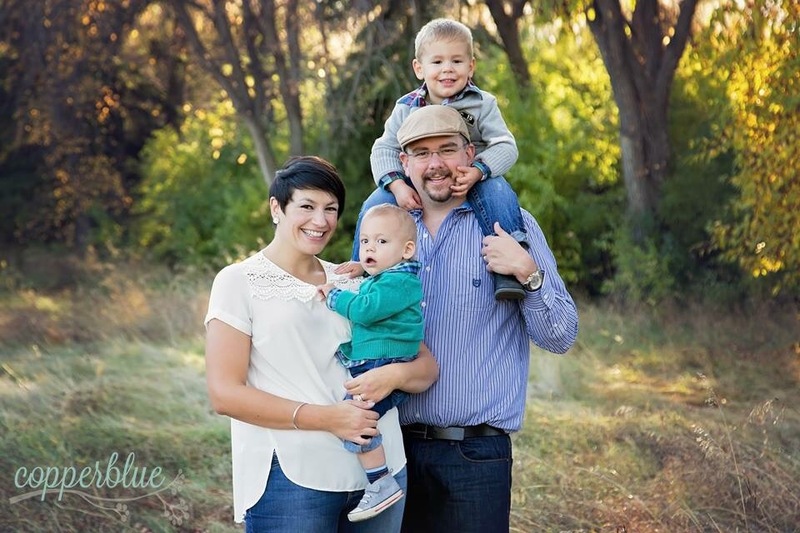 Follow Julia-Anne on Twitter @JulieAnneHowe and check out her farm blog, Fit to Farm, here(ps. Her latest on sexual harassment in agriculture is really, really good). Sheri Pedersen is the guest author for day 14 of Agriculture Month in Saskatchewan. Sheri is a friend of mine in so many levels of agriculture – being a farmer herself. Have a read of what food means to her. I am sure you will find many commonalities! Have you ever stop to consider how much time, energy and effort we put into our food? Think about it. We drive to the grocery store (for some this is a big deal), shop for groceries, prepare the meal, eat (always takes the least amount of time it seems), clean up and oh ya…the time it takes to think of what to prepare for the next meal (the thing that often takes me the most time). What if…..we didn’t need food? One of the most frequent questions I am asked as a rancheris, “What do you do in an average day?”. This is also the hardest question I am ever asked. You see, every day is sooooooo different for me! And I don’t just mean seasonally. Of course a normal day is different for every farmer in seeding vs harvest, or in calving vs weaning. But because I am the secondary rancher here, some days I do ranch work. Some days I am more of a stay at home mom. Some days Ifeel like I am a professional organizer of randomness. Any given day is atotal spin of the roulette wheel. So today I decided to track my day, and give each of you a real glimpse into my life. Jean does such a wonderful job of helping farmers be open and transparent about what we do. If you are in the AG industry listen to her, she knows what she is talking about! 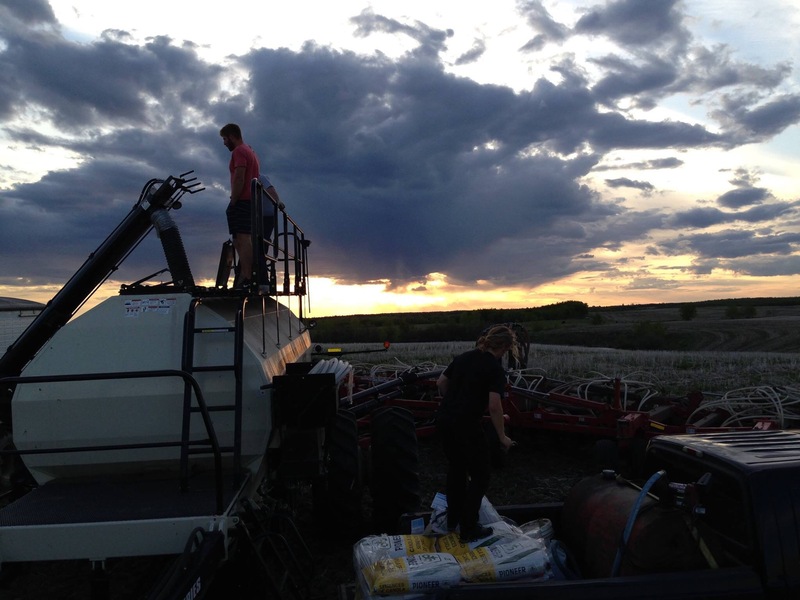 Day 12 of Agriculture Month in Saskatchewan brings us a guest post from Jean Clavelle. Jean is a friend of mine from University, she is a fellow Agro. I have had the opportunity to reconnected with her in the past few years with our work of communicating with consumers. I love her take on being mindful of the fact that we are indeed all consumers, whether we are farmers or not. Enjoy!! Follow Jean on Twitter @ClavelleJean or check out her newly launched communications company, Magpie Marketing, here. Day 11 of Agriculture Month in Saskatchewan is exciting for me. 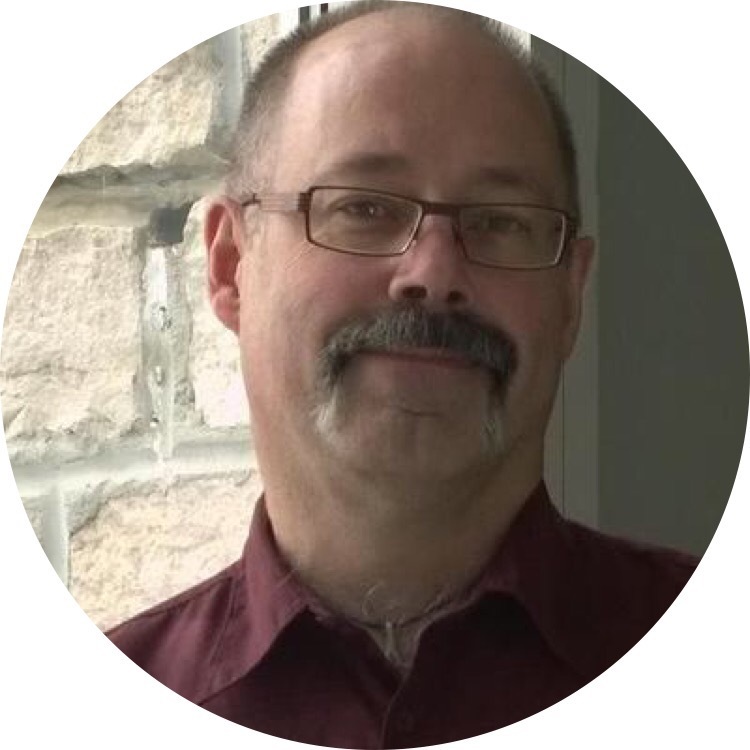 Today’s author is Stuart Smyth, a researcher, educator and communicator – all about agricultural science. The reason that farmers and ranchers are able to do what we do, and raise what we raise, is due to those in research and education. 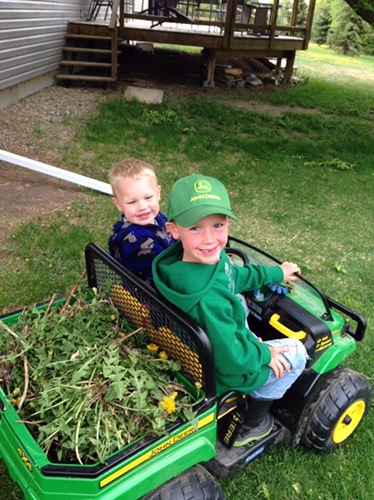 As a professor in the College of Agriculture and Bioresources at the University of Saskatchewan, there are two things that make my job one of the best in the world, sharing the results of farmer surveys and teaching farm kids. It is day 10 of Agriculture Month in Saskatchewan. I have only had the pleasure of meeting today’s author, Shayla Hertz, once, but I have been awed and inspired by her mother, Alanna Koch for years. Like Shayla, I have also travelled the world, and also like her, I am proud of the amazing (and safe!) 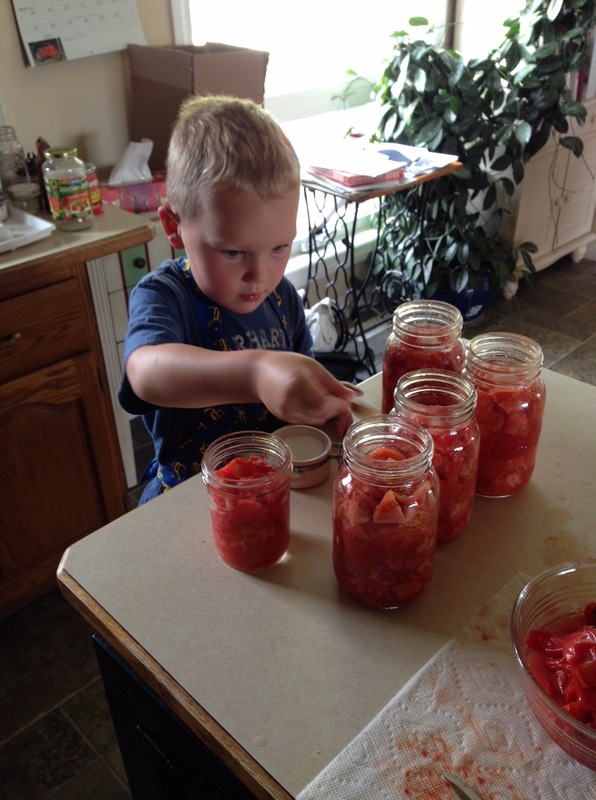 ways Saskatchewan raises and grows food. Enjoy!!! October is Agriculture Month, a time to celebrate something we are all connected to and by. Food. Ag Month is about celebrating how food grown on farms gets to our tables, how this food is healthy and nutritious, how it’s affordable, how this food is safe, and how truly sustainable this food is. These are values everyone shares in Saskatchewan. These are values we are united by across the globe, people simply prioritize them differently. 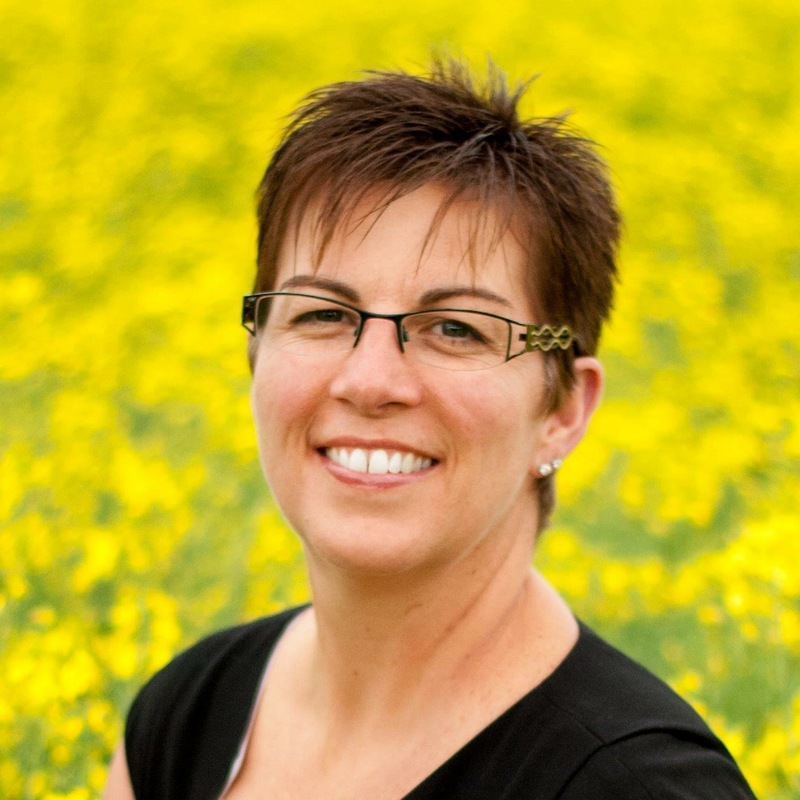 Donna Stone is our guest author for day 8 of Agriculture Month in Saskatchewan. Donna and her family grain farm near Davidson. I love her story of the garden and the peace it brings her. I completely understand…. every part except the weeds! Ha! Stay tuned later in the month to hear from her husband Rob and his food story. From as far back as I can remember, I have loved gardening. The smell of the freshly tilled soil, watching those tine seeds grow into beautiful plants and reaping the delicious rewards the garden produces. I even find pulling weeds relaxing and therapeutic. I love it all! It’s day 7 of Agriculture Month, and my fellow blogger, Angela Jones has written this excellent guest post. Angela is a kindred soul, as she loves talking about agriculture and food as much as I do. I love so much about this post – be sure to give it a read!! Give Angela a follow on FaceBookor give her blog, Agriculture Today, a read here. 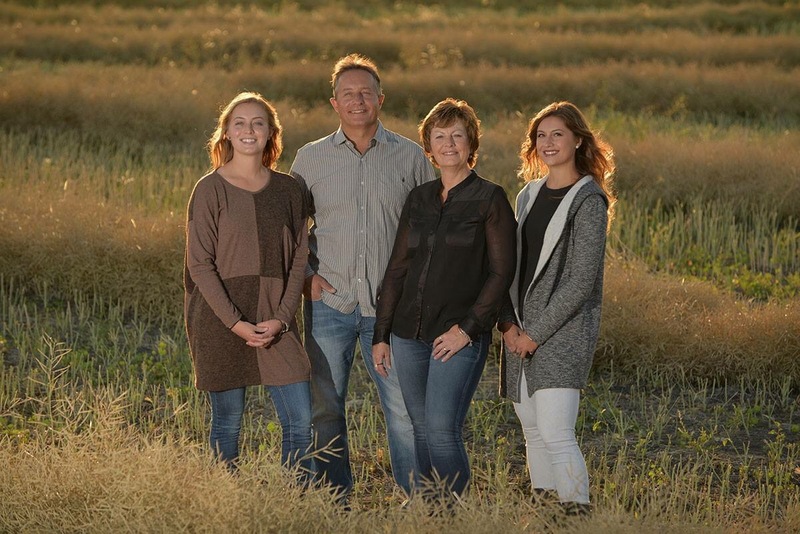 After discussing how to promote the #OurFoodHasAStory campaign with Adrienne, I decided to send her a short write up of my involvement with food to celebrate agriculture month in Saskatchewan. We have connected with one another through our shared passion of talking to consumers and telling the story of AG and I loved her idea! October is here, so even more than falling leaves and harvest wrapping up, it means that it is officially Agriculture Month in Saskatchewan. 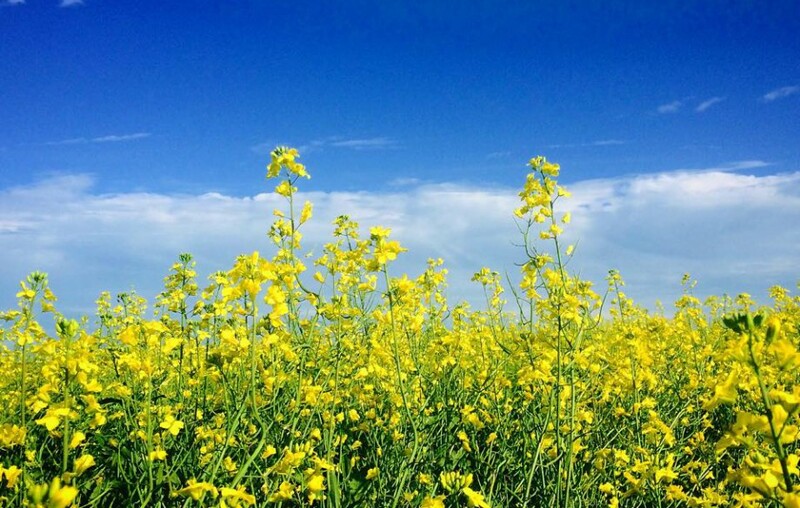 Agriculture month is a time dedicated to celebrating all things food and agriculture in Saskatchewan. Perhaps more important than the celebration of agriculture, Ag month is a time to bridge the gap between farmer and consumer. It is an open conversation about the amazing products that we raise and grow here, and how that food connects us all. For me, agriculture month is the perfect opportunity to tell more of the story of what happens on our ranch. The story of the beef, oats and canola that ends up not only on my family’s table, but on each of yours as well. It is also a perfect time for me to help other farmers share their stories.